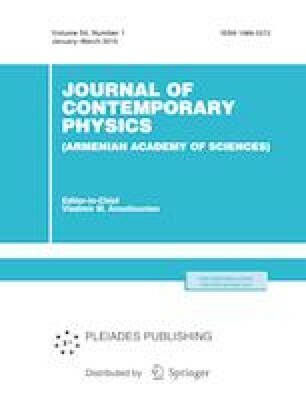 The influence of terahertz (THz) radiation absorption on the efficiency of generation of coherent THz radiation in the system ‘nonlinear-optical crystal partially filling the cross section of a rectangular metal waveguide’ has been investigated. The efficiency of the nonlinear frequency conversion of optical laser radiation to the THz range depends on the loss in the system and the fulfillment of the phase-matching (FM) condition in a nonlinear crystal. The method of partially filling of a metal waveguide with a nonlinear optical crystal is used to ensure phase matching. The phase matching is achieved by numerical determination of the thickness of the nonlinear crystal, that is the degree of partial filling of the waveguide. The attenuation of THz radiation caused by losses both in the metal walls of the waveguide and in the crystal was studied, taking into account the dimension of the cross section of the waveguide, the degree of partial filling, and the dielectric constant of the crystal. It is shown that the partial filling of the waveguide with a nonlinear crystal results in an increase in the efficiency of generation of THz radiation by an order of magnitude, owing to the decrease in absorption. Russian Text © A.S. Nikogosyan, R.M. Martirosyan, A.A. Hakhoumian, A.H. Makaryan, V.R. Tadevosyan, G.N. Goltsman, S.V. Antipov, 2019, published in Izvestiya Natsional'noi Akademii Nauk Armenii, Fizika, 2019, Vol. 54, No. 1, pp. 128–137.